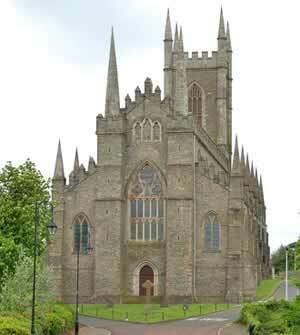 The word Downpatrick derives from the Irish for "Patrick's stronghold". Right down to its name, this town has a strong connection to Ireland's famous patron saint. 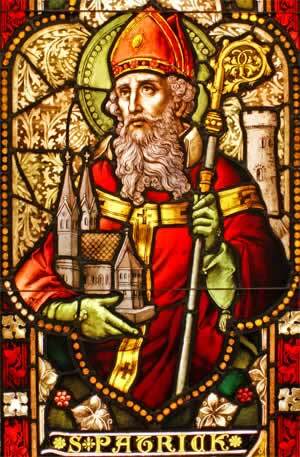 St Patrick as depicted in stained glass. After being born in the late 4th century, he spent the majority of his 75-year life telling this country's natives the good news about Jesus. At the time, the Christian world considered them to be savage, uneducated pagans. Patrick had his work cut out for him, but he was surprisingly successful. He met druids, warriors and princes, and baptised them all. Their subjects and followers weren't left out either; they were converted too, in their thousands. Patrick is also famously responsible for driving all the snakes out of Ireland, although he may have been helped along by the fact that there weren't really any snakes there in the first place. The creatures in this old legend are thought to be symbolic of the old pagan beliefs, that were eradicated in favour of Christianity. This achievement is celebrated around the globe on March 17th, often agreed to be the day Patrick died. 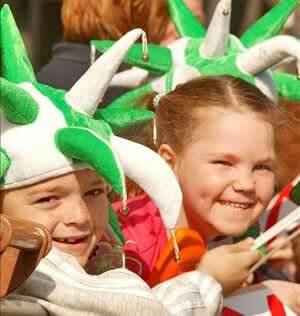 It's a huge party, where the entire world becomes Irish for a day. Everyone wears something green, and displays the shamrock symbol. 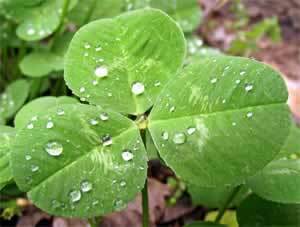 The colour represents Ireland's grassy landscape, and the three-leaf shamrock was how Patrick explained the idea of the holy trinity to the pagan Irish. Of course, most people are too busy drinking pints of Guinness to think about things like that. The bigger parties, in places like New York, sometimes even go as far as to dye rivers or streams entirely green! In Downpatrick, the celebrations are a little more reflective. People go to Down Cathedral, where Patrick's remains are supposedly buried. A gravestone marks the exact location but, since this tomb was laid in 1900, over a millennium after the body would have been laid to rest, there's no way to know if it's really there or not. The cathedral's other sights, meanwhile, are 100% real. Its huge organ is widely agreed to be among Ireland's finest. The pillars are decorated with restored examples of 13th century carvings, of both pretty leaves and grotesque faces. The granite font is even older, with a history stretching back to the 11th century. After being forgotten about completely, it was rediscovered in the 1900s, in use as a watering trough for animals. 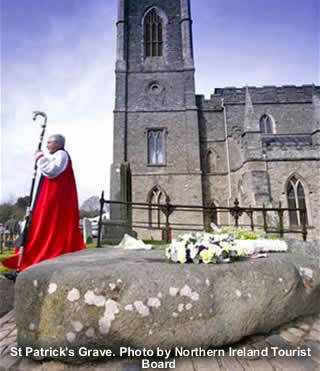 The reputed burial place of St Patrick. The final resting place of Ireland's patron saint may be unclear, but everything we do know about his life is explained at the Saint Patrick Centre. This is the only permanent exhibit on the globe to focus on his deeds and adventures. The modern, interactive exhibits also cover the art and geology of that time, as well as the general impact of other Irish missionaries. Of course, the main focus is on Patrick. It reveals some lesser known stories, such as his kidnapping and enslavement by the Irish in early life. This triggered his endless resolve to change the country's ways. 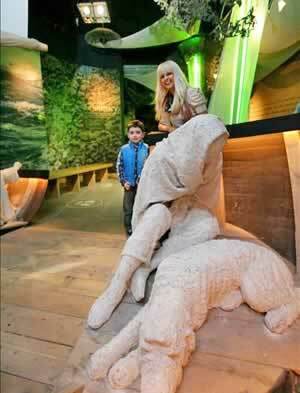 Exploring inside the St Patrick Centre. One particularly fascinating exhibit is called "Modern Debates". 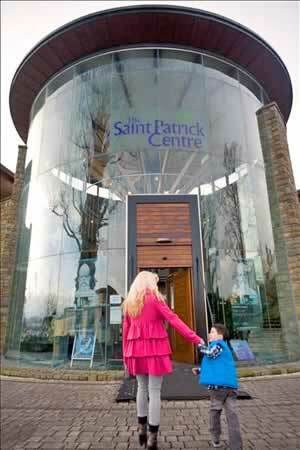 You can listen to recordings of people from all over the country, including Downpatrick residents, give their opinions on the life of their patron saint. It's fascinating to hear what his memory can still inspire, so long after he was alive. 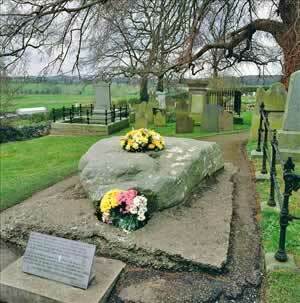 Allegedly, Saint Patrick died in Saul (2 miles east of Downpatrick) on 17th March 461. 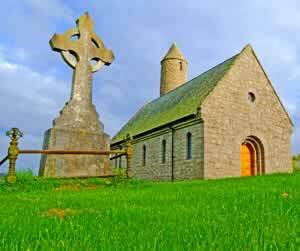 A church was built in 1932 on the site to to commemorate Saint Patrick's first church in Ireland. Close by, on the crest of Slieve Patrick is a huge statue of the saint. Bronze panels illustrate scenes from the life of Ireland's patron saint.